Geese at North Warren – some more dodgy than others – feeding on a fine sward. 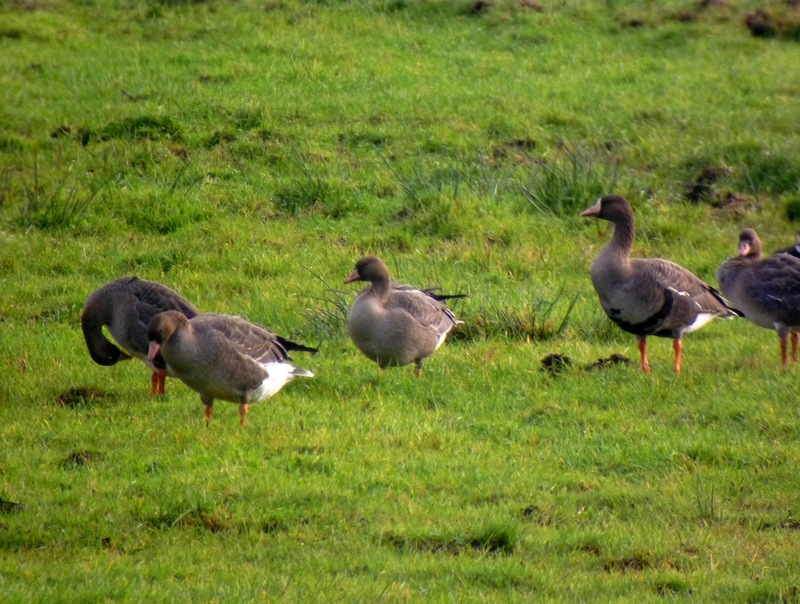 A ‘goosey’ couple of days with a Tundra Bean at Vange Wick on Wednesday, followed by a day at North Warren where there were 62 White-fronts, 2 Pink-feet and 3 Fly-over Bean Geese amongst the hordes of birds with, let’s say, a more local origin. 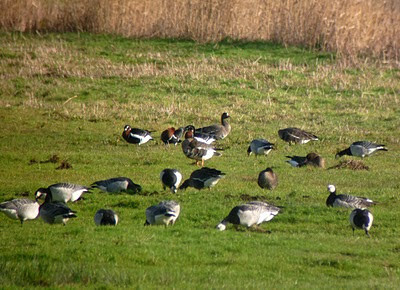 North Warren is an excellent winter site, attracting large numbers of wildfowl to the flooded wet grassland habitat. 30+ Pintail lurked amongst the hundreds of Wigeon and Teal, and at least 8 Water Pipits made themselves obvious. 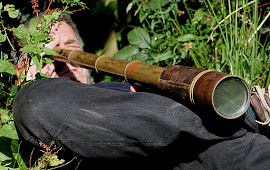 Managing wet grassland may at first sight seem easy – there are only two issues to get right – the water and the sward. However, this does hide a mass of complexities. 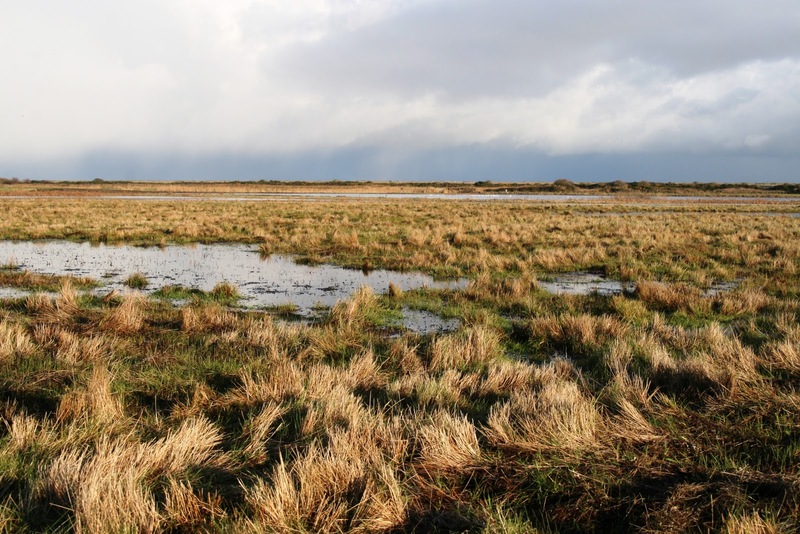 At North Warren, the brackish influence is allowing the unpalatable Saltmarsh Rush Juncus gerardi to flourish. At the same time, recent milder winters, are allowing more winter grass growth (with an increasingly long growing season predicted under climate change). 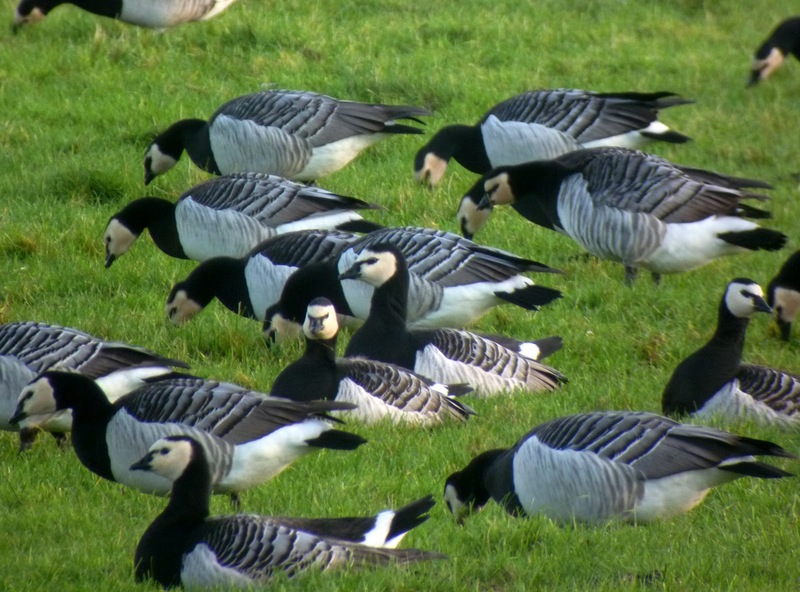 Together these factors affect the quality of both winter wildfowl grazing and spring breeding wader habitat. The current attempts to halt this shift in sward condition are based around a more dynamic water regime (including holding winter water longer into spring to suppress growth) and the introduction of some winter grazing by ponies. Time will tell if it works. Yesterday, the site looked superb!